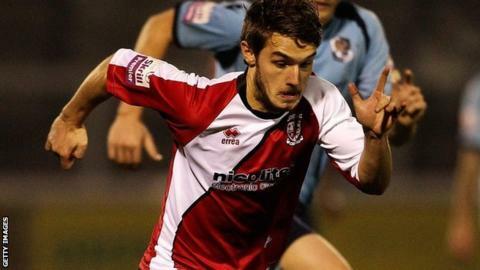 Woking won their first game of the new National League campaign thanks to a John Goddard double against Bromley. The first chance of the game fell to Woking's Keiran Murtagh but Bromley keeper Alan Julian saved comfortably. Bromley lost both Lee Minshull and Rob Swaine to injury either side of Goddard putting the Cards in front from close range. Goddard tapped in a rebound for his second, while the closest Bromley came was a saved Bradley Goldberg shot. "We were very much in control tonight and at 2-0 it was a case of seeing the game out more than anything. "To win 2-0 and keep a clean sheet on the first home game of the season was very pleasing. "We've got a good result tonight and I don't paint over cracks, in respect in what we need and what we've got to do, but it's still got to be right for us." Match ends, Woking 2, Bromley 0. Second Half ends, Woking 2, Bromley 0. Substitution, Woking. Adam Newton replaces Jake Caprice. Attempt missed. Anthony Cook (Bromley) right footed shot from outside the box misses to the left. Attempt missed. Anthony Cook (Bromley) right footed shot from long range on the left from a direct free kick. Foul by Jake Caprice (Woking). Substitution, Bromley. Louis Dennis replaces Moses Emmanuel. Substitution, Woking. Bruno Andrade replaces Kadell Daniel. Attempt blocked. Alex Wall (Bromley) right footed shot from outside the box is blocked. Attempt missed. Bradley Goldberg (Bromley) right footed shot from outside the box misses to the left. Goal! Woking 2, Bromley 0. John Goddard (Woking) right footed shot from the centre of the box to the centre of the goal. Emmanuel Udoji (Bromley) is shown the yellow card for a bad foul. Second Half begins Woking 1, Bromley 0.